The 2015 Audi Sport TT Cup has came to an end here in Hockenheim Circuit, alongside the finale of the 2015 DTM season. 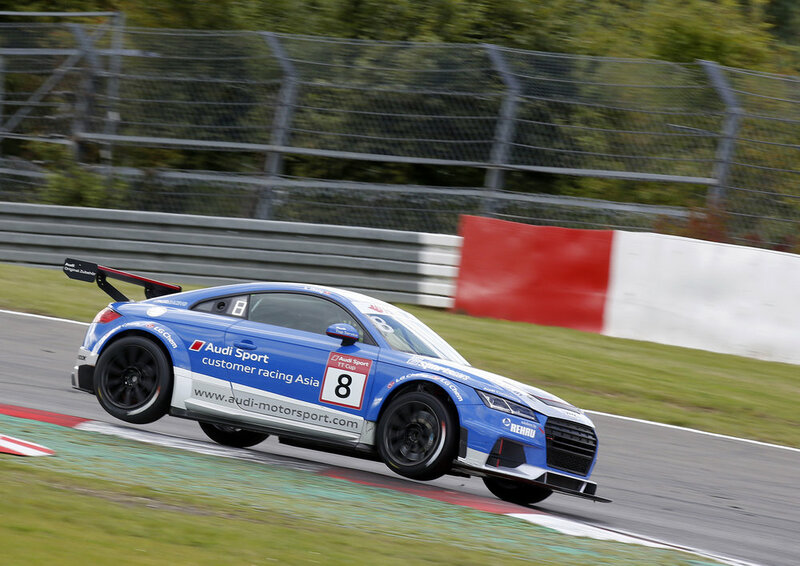 Audi Sport Customer Racing Asia's talent Shaun Thong concluded his first Touring Car season in 6th overall. On Saturday the Hong Kong young gun qualified 4th on the grid, just 0.3 behind Audi Sport's Factory driver Rene Rast from Pole Position. However Thong suffered from suspension failure immediately after the lights went off and he dropped out of contention. On Sunday's Race 2, Thong also suffer from tough luck after starting from 5th after an early contact which damaged his steering column but managed to gathered valuable points in P12 to secure 6th Overall in the championship. To recap the 2015 Audi Sport TT Cup season, Shaun Thong's only podium and only win was from the German street circuit Norisring where he show cased his adaptability in changing conditions in qualifying and race to secure a double Pole Position and a race win. Thong also took 2 top 10 finishes in Nurburgring after intense battle with the leading pack but he ran out of Push to Pass at the end to launch an attack to the front.
" It wasn't the weekend i want to finish the season, my speed is promising this weekend and i was really aiming to finish top 3 in the championship although the chance is very minimal. But after starting from P4 and P5 and yet failing to secure a good finish, it is disappointing but it is positive on the other hand that i have learnt how to race better in the future. I enjoyed my season with the Audi Sport TT Cup although it took me awhile to fully understand the car, but i believed the experience i had this year will aid me in the future." Said Thong.